Love the bag & foulard! vale all these things look like they were made to go together! it's all in your wonderful styling. 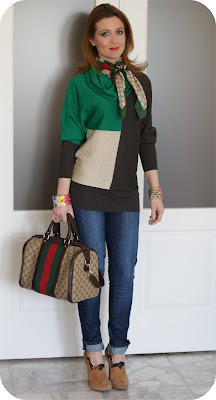 :) the sweater with the handbag, the jacket, shoes, bracelets, scarf. we don't really have that much of a season change in texas. i say it's near summer, 9 months out of the year. You look so beautiful! I really love your bracelet! awesome sweater! I love your bag. Love this outfit! Beautiful jacket and sweater! such a gorgeous color palette in this look! the Gucci bags really brings everything together!! i love your shoes, anyway ..
Love the cherry red leather and the Gucci Bag. 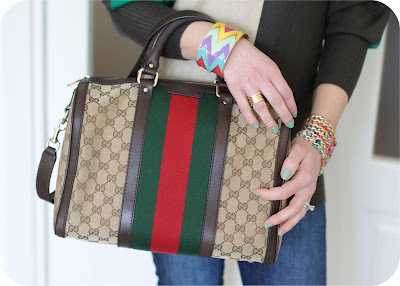 The Gucci Bag has a vintagey feel to it. Gorgeous! I'm in love with the bag! It's a big big ring!! Claro que te sigo guapa, me gusta mucho tu estilo. Hai fatto un bellissimo abbinamento tra foulard, borsa e maglia! Ora ti faccio fare due risate, io ho preso su oasap il bracciale ad artiglio ed una gonna, quando e' arrivata mi sono resa conto che e' trasparente ma nel senso che sembra proprio che non hai niente addosso, quindi ora non so proprio come fare, forse la devo far modificare e farci mettere qualcosa sotto! 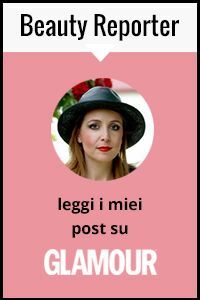 Comunque complimenti perche' questo look ti e' riuscito benissimo! Te sigo también por Blogovin, tu quieres seguirme a mi por Blogovin. wow! this outfit is FABULOUS!!! Love this outfit, it's very feel put together! The colour of that jacket is amazing! P.S. Thanks for supporting my blog. I also tagged you. Check it out on my blog! Hi darling! Love the combination of this outfit! It look stunning! And those bracelets are amazing, love'em! Super cute blog! I'm a new follower! Would be awesome if you would follow me back! I love your bag ang boots! ciao ! grazie di essere passata! Hi thanks for you visit, I love all this outfits is perfect so you have a great style. I absolutely love the outfit ! The heels are to die for, but my attention is mostly drawn towards the beautiful leather jacket. The red shade is beautiful and fits you like a glove. Hope you can relax on the weekend. in effetti il cambio stagione non è una simpatica,per fortuna ho la cabina armadio quindi ho tutto a portata di mano :)cmq tu stai benissimo come sempre! i love how you mix everything! Loove the jeans and the combination as a whole!!! You look really beautiful! The Nail polish is a must! Beautiful combination! :) Nice pictures! I really like this outfit :) Bag is great. love your outfit!! :) you look gorgeous! u have a lovely blog dear! I love how you played with colors in this outfit, you look very classy and put-together. WOW, amazing bag! :) I follow U.
Mi piace questo outfit :-) soprattutto quel tocco di verde! I really love your leather jacket, and you have really created such a fun outfit! The Gucci bag is darling. you look gorgeous - love gucci ;) !! I'm totally in love with your bag collection! 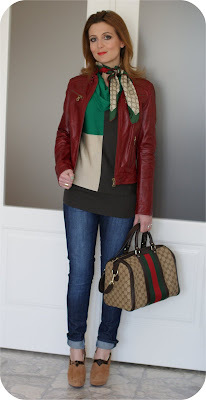 Love your classic model Gucci's!